Update: Property sold to 3 buyers for total price of $627,000 ($8,525 per acre). Tract 1 sold for $484,000 (8,031 per acre), Tract 2 sold for $72,000, and Tracts 3 & 4 sold together for $71,000. All scheduled to close by July 12, 2013. UPDATE: The farm sold for $323,000 ($6,235.52 per acre) and is expected to close on or before April 30, 2012. UPDATE: The farm sold for $242,500 ($6,611.41 per acre) and is expected to close on or before March 23, 2012. UPDATE: The farm sold for $425,000 ($3,935.18 per acre) to three (3) different buyers. Closing is expected to be on or before December 22, 2011. UPDATE: The farm sold for $452,000 ($6,459.91 per acre). Closing is expected to be on or before December 9, 2011. UPDATE: The farm sold for $230,000 (5,473 per acre) and is expected to close on or before June 24, 2011. UPDATE: The farm sold for $565,000 (5,582 per acre) and is expected to close on or before May 27, 2011. 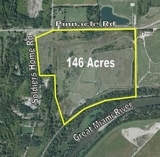 UPDATE: The farm sold for $833,000 (5,079 per acre) and closed 03/31/11. UPDATE: The farm sold for $1,330,000.00 and closed 04/11/11. Update: The property sold for $97,500 and closed on 12/15/10. 22-Acre Wooded Property sells at Absolute Auction! UPDATE: The farm sold for $250,000 (after the auction) and closed on 04/16/10. Buy 1 or buy them all! UPDATE: The farm sold for $395,000 and closed on 02/05/09...103 Acres in One Tract.